Paintings customized to meet your needs. Tasteful, custom fine art paintings. In any size - easel to large murals. Custom Paintings of your estates, home or garden. Marine subjects from boats to seascapes. Consistently great results from thirty years experience. Please note: Delivery of any size of mural or painting anywhere in North America can be arranged. Click To view my murals. 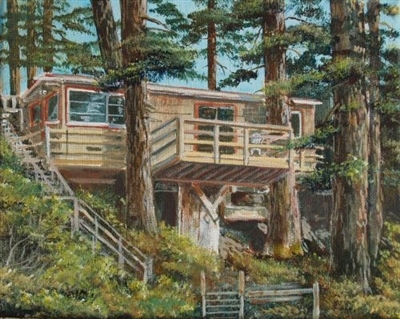 Copyright 2006-2019: Studio on Dogwood , All Rights Reserved.